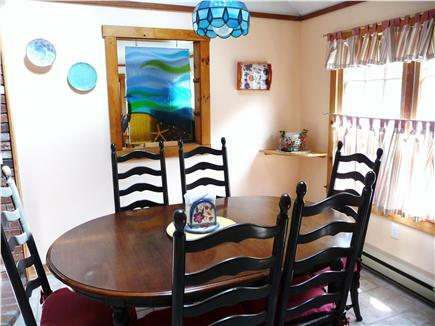 The Sea Star is an adorable, sunlit Cape within a 3-minute walk to the small beach at the saltwater Lagoon and 1 mile to Eastville Point Beach. 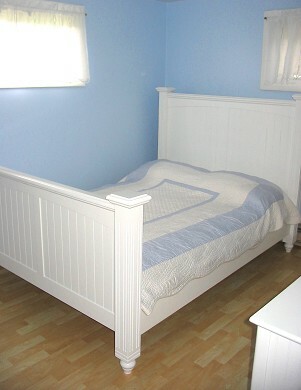 A wonderful family vacation house on a quiet street in an ideal location to explore all the island has to offer. 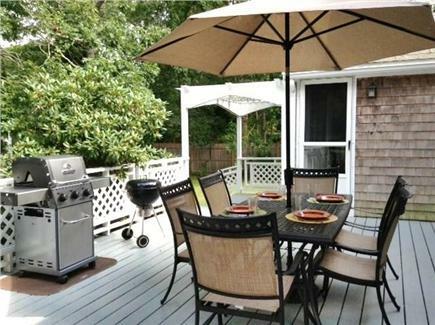 Minutes to downtown Oak Bluffs and Vineyard Haven amenities, the boat, lifeguarded beaches, golf, and conservation trails. The bike path and bus stop to town are just around the corner. 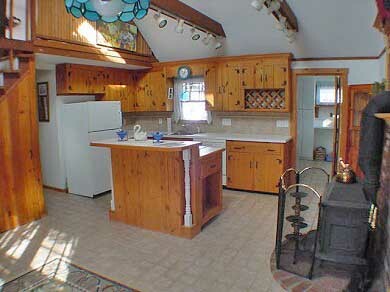 Fully equipped kitchen and new appliances, sky-lit bedroom and dining area, WiFi, and many new furnishings. 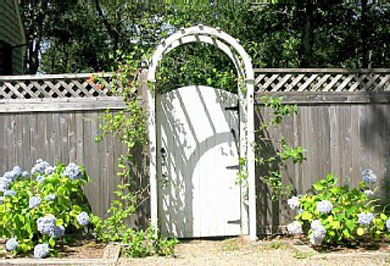 The private fenced yard has an enclosed hot/cold shower and large inviting deck. 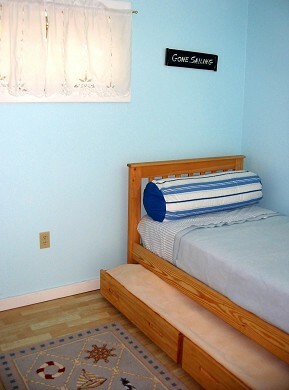 Linens, towels, beach chairs and cooler are also included. 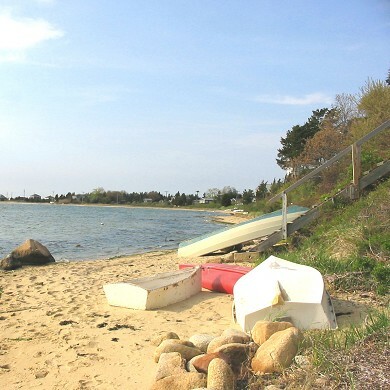 The Lagoon offers great fun in a lovely island setting: swim, beachcomb, fish or dig clams, and sail or kayak to Vineyard Harbor and Sound. Bring your boat into the Lagoon and walk 3 minutes to The Sea Star; relax in the outdoor shower; and enjoy an island meal on the deck. Top it off with a Lagoon sunset. How close are the nearest beaches and other activities? Walk right around the corner to the Lagoon (shown above). Or at low tide, enjoy a peaceful 20-minute walk around the Lagoon to Eastville Point Beach without using the road. 15 minute bike to town and town beach. Convenient bike to other public town beaches and for excursions around the island. Bike and boat rentals can be delivered or sail or paddle your rental directly back to the neighborhood. Golf and conservation trails are less than 1.5 miles away. Entertainment is close by in both Oak Bluffs and Vineyard Haven. 1.5 miles to evening strolls by the OB town beach and gingerbread cottages, summer concerts at the Ocean Park Band Stand, Tabernacle community sing-a-longs, the historic Flying Horses Carousel, Circuit Avenue shops, ice cream, take-out and restaurants. 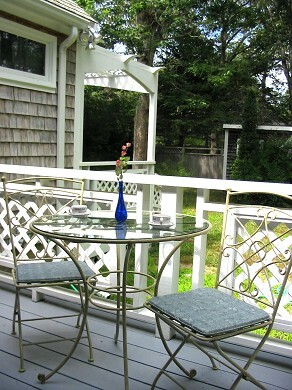 Only 2.5 miles to Vineyard Haven restaurants, shops, harbor, playhouse,and spa. 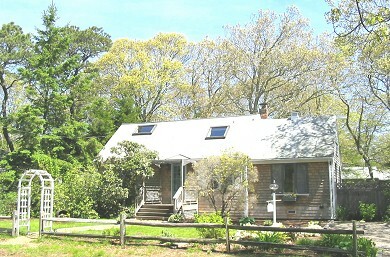 Edgartown and Chappy are also within easy reach from the Sea Star's central down-island location. 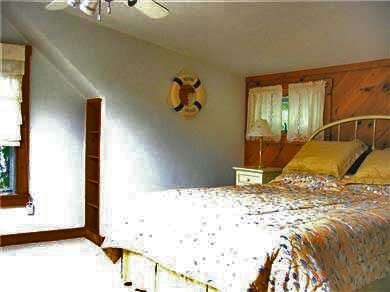 What do previous guests say about The Sea Star? 2008: 1. Connect to Internet via Wi-Fi or Cable. 2010: Fence enclosing the backyard replaced. 2012: 1. New gas range installed. 2. New sofa in the family room. Additional availability info: In season, Sunday check-in preferred, but if possible other check-in days will be accomodated. Additional pricing info: 4 night stays considered for last minute availability, inquire for rates, State and local taxes of 11.7% will apply.